Jess is a specialist corporate and special events fundraiser, with experience across all areas of fundraising. She started her career in the charitable sector working with a start up charity in London and has since gone on to work in the UK, Cambodia and Brazil, with experience of fundraising across global markets. As a senior fundraiser, Jess delivers strong relationships and exceptional partnerships and has developed and implemented successful fundraising strategies for charities across a range of sectors, including healthcare, international development, youth homelessness and the arts. Following her graduation from Leeds University with an MA in Theatre and International Development, Jess went on to work with Epic Arts, the National Osteoporosis Society and Street Child United, where she was Head of Fundraising. She has worked with companies from a range of sectors including pharmaceutical, hospitality, travel and finance, as well as leading on strategic partnerships with leading UK and international charities. In addition to her work in corporate and special events fundraising, Jess has led on multiple six-figure grant applications, including work with Arts Council England, the Vitol Foundation, Comic Relief and the Australian Red Cross. 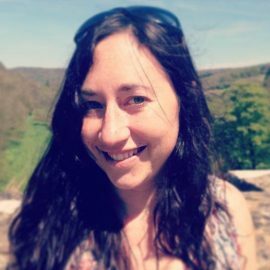 As well as delivering fundraising strategies, Jess was a Non-Executive Director for the Bristol based CIC Coexist and took a lead role in developing their business plan and supporting organisational growth. Before joining the charitable sector, Jess worked extensively in the events industry and has been involved in the production of numerous music festivals and sporting events. This experience transferred into her role with a range of UK and international charities, and led to her taking a lead role in the delivery of a diverse portfolio of events. Jess had a key role in delivering high profile sporting events in Brazil, private fundraising events with HRH the Duchess of Cornwall, bespoke challenge events for major donors, gala dinners with over 500 guests and an event that broke a Guinness World Record for 2000 school children at the Royal Albert Hall. Jess is an experienced volunteer manager, having managed teams of over 100 volunteers at both private sector and charity events. Jess lives in Bath with her husband and two daughters and loves travelling, coffee, cake, the countryside and more cake.